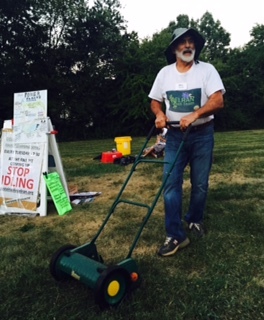 Bill Curzie, Chairman of the Delran Green Team was the final speaker for our 2015 Summer Green Learning Series. Bill explained that allowing your car to idle wastes gas and contributes to air pollution. Exhaust emissions worsen asthma, bronchitis, and existing allergies. Idling emits 20 times more pollution than when driving. More importantly, it’s illegal to allow your car to idle more than three minutes. Just think how many times have you gotten into your car and checked your email and sent a few text messages. Let’s all do our part to make Delran a healthier place to live by remembering to turn off your car when you’re waiting to pick up your kids from school, clubs and sport fields. Click for more information.